Phew, the children are back at school! 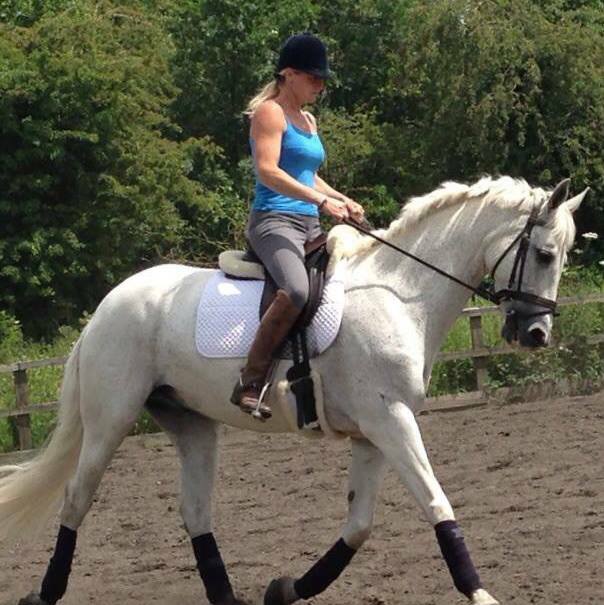 It has been a busy but lovely summer - I'm glad to be focusing on my riding and my horses again. Babykins is in full work and really going nicely. We are both learning and improving so much together. I'm very grateful to NTT equestrian for all their help and support with our training. I really feel he is going to be a very special horse. This was a quite month for me riding/competing wise. 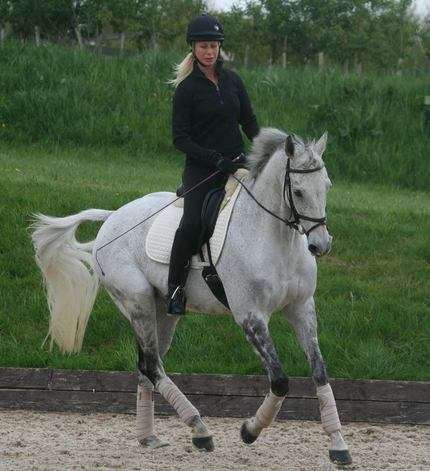 I had been offered a gorgeous young event stallion who was more than capable of scoring 10's in his dressage! Unforuantely my back injury was causing me lots of grieve, rather than say it had flared up I would describe it as never really getting better. I need to take some time out (not ideal in the middle of the season & when rides are being offered!!) to hopefully ease/improve the pain. However this did give me los of time to really focus on my teaching and with all the Pony Club camps and rallies, I was very busy! I was also delighted to hear that one of my pupils won all classes they entered this weekend and another pupil was 2nd in her first ever dressage competition - Well Done!! Please do get in touch if you would like a lesson. 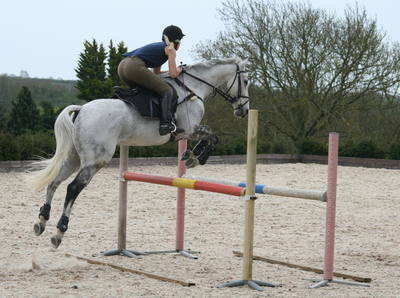 Clinics, group or private sessions, flat or jump at your yard or hired arena of your choice. Also holding XC lessons group or private. Fully insured, registered and qualififed coach. 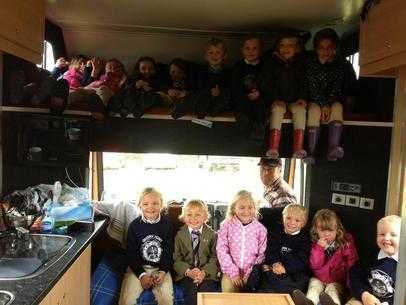 Pic - My PC camp group escaping a summer thuder storm in the lorry for a stable management lesson! I’m having a fab summer and really enjoying working & training with some great clients and horses. On this note I would like to introduce Bling who has come to join the team for the summer, a stunning event horse who I am enjoying training and competing. He is a true gentleman and is a pleasure to do – he has even got use to all the cuddles my horses get ;) follows me around the field & has by far the loudest whinny in the mornings! Here are some pictures of us training, schooling and competing. Warming up for a show jump session & one of us in action! I have been very busy teaching and was delighted to receive a text from a client whose daughter had just won all 5 classed entered that day! What a result. Please do get in touch if you would like a lesson. I also have a space available for “Boot Camp” livery - great if your horse needs to pull his socks up before the summer shows get underway. 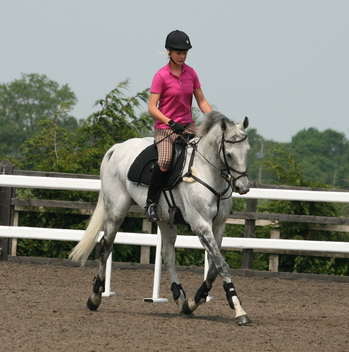 This Includes 2 weeks schooling livery and a lesson for you on your horse at the end of the stay. Please call to discuss your requirements but do book well in advance due to limited availability. It was hard watching him go up the ramp into the lorry to his new home, he even stopped and looked round at me as if to say “good-bye” a very tearful moment (I’m very soppy! :-)) His loan mummy is Annabelle Rose who has ridden many horses at advance level and has even bred Welton horses so Wizard is in capable hands. 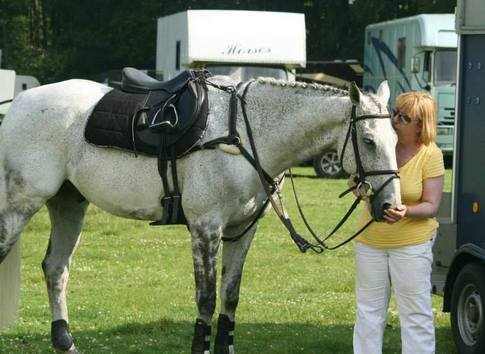 I think they are made for each and have both taken the dressage world by storm. Wizard has been placed third or higher in his dressage outings with scores well into the 70 % plus range! I really am delighted for them both and genuinely couldn’t have wished for a better home or outcome. I defiantly would encourage people to consider loaning your horse, especially if he is no longer suitable for one job; do give him another. It would be selfish of me to keep Wizard at home; he adores and deserves to be number one. I do really miss him and he is so special to me but I love that he is out do something, being loved and well care for. Have some exciting news soon .... ek!